Relief from the blistering summer heat has been flagged as a top priority in a new plan aimed at shoring up Sydney’s resilience to a range of threats such as climate change, congestion and housing affordability. 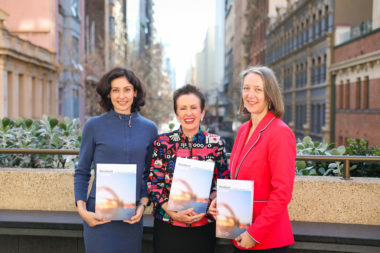 The “Resilience Sydney: a strategy for city resilience” plan, announced by Lord Mayor Clover Moore on Tuesday, is targeting a temperature drop of 2°C in urban areas. Under the plan, a “Cool Suburbs” strategy will be established for rating housing estates and existing suburbs. New and existing suburbs can elect to receive a “Cool Score” – a measurement of the site’s ability to stay cool and comfortable based on “the latest in data sensing, materials science, built environment planning and performance monitoring”. The success of the new voluntary measurement and performance tool will depend on take-up by councils and other stakeholders. “This new voluntary governance approach is pioneering self-regulation for managing climate risk in our city,” the plan states. Work on dropping Sydney temperatures – particularly in those suburbs worst affected in the city’s west – began last year with the Western Sydney Regional Organisation of Councils (WSROC) leading a multi-stakeholder group of state and local governments, universities, business organisations, health agencies and scientific research institutions. Cooling options already under investigation by the group include permeable and porous roads, driveways and footpaths; cool building and shading designs; irrigation; and tree canopy cover. Another key action in the resilience plan is shoring up investment in resilient buildings, assets, precincts and cities through the development of business-led decision making tools. 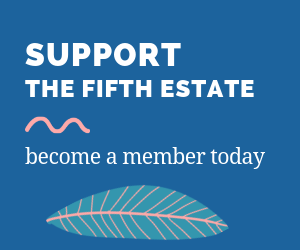 Work on several tools began last year, with work continuing on the Green Building Council of Australia’s Green Star Resilience Innovation Challenge and the Infrastructure Sustainability Council of Australia (ISCA) v2.0 Resilience Credit. The NSW Office of Environment and Heritage is also piloting a tool called “XDI – Sydney” that quantifies risks to interdependent critical infrastructure. The tool will “inform prudent investment”. Once adopted these tools will “enable future use of investment products that improve resilience such as resilience bonds”, according to the plan. The resilience plan also wants to set up council-led programs to support solar on low-income households. Research began earlier this year on a large-scale renewable energy and energy storage model for Sydney households. The model will “encourage institutional investment in household energy to make solar power accessible and affordable for more people”. 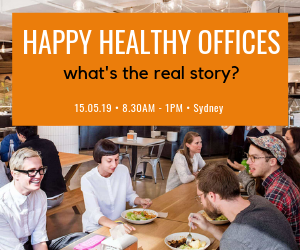 The development of the Resilience Sydney strategy relied on the input and support of 33 council areas, 100 business and government organisations and more than 1000 residents, and follows Sydney’s selection as one of the Rockefeller Foundation’s 100 Resilient Cities Challenge. See our story Does metropolitan governance bring us closer to resilient cities? Not just about climate change, the new plan outlines how Sydney will cope with other topical challenges such as cyber and terror attacks, housing affordability, inequality and congestion. “A rapid increase in density has put pressure on schools and early education and on open space, essential services and other infrastructure. Affordable housing is a critical issue and congestion is getting worse,” Lord Mayor Clover Moore said at the launch. “We’re seeing rising inequality, more homelessness, mental illness and obesity. And we’re experiencing increasingly extreme weather events with every year classed as another record breaking year in terms of rising temperatures. “It’s why this strategy, developed with inputs from across Sydney, is such a breakthrough. 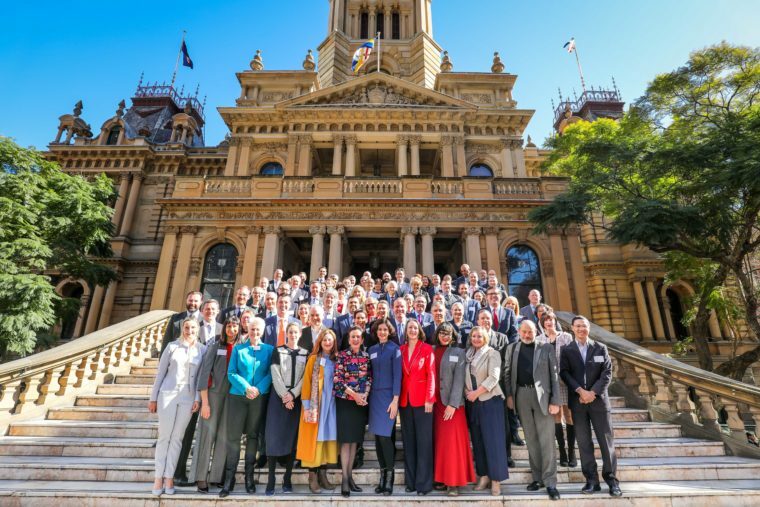 Resilient Sydney recognises no one organisation can close our problems and instead looks at how we can work together, across boundaries to protect and champion the needs and interests of our communities,” she said.